When you look at the title, I think you would ask, “Really one hundred?” – No worry as I also asked myself the same when I heard the nickname for the first time. 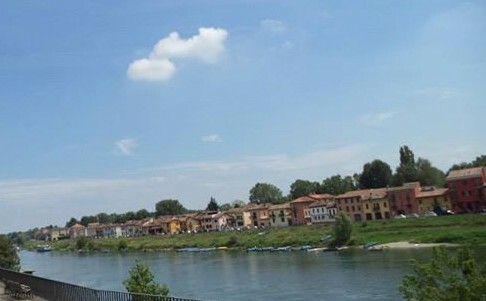 Ancient Pavia can be reached with an hour train from Milan and it’s located in Lombardy Region, Italy. This is the city that’s incredibly rich of cultural and historical sites as the city itself has already been around for 2000 years. 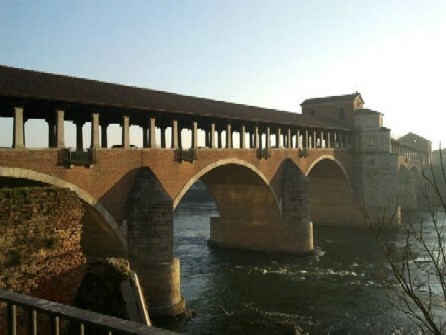 One of the memorable “buildings” in Pavia might be the old bridge or ponte vecchio (also known as ponte coperto). This bridge originated from a previous version in 14th century that was unfortunately damaged during the second world war. After the damage, it was decided that it should be fully reconstructed as another new bridge, which construction was done from 1949 to 1951. It has incredible length about more than 200 metres and it’s one of the sites where there are either Pavia residents who pass everyday or tourists who’d like to see and capture it in the photo (including me I mean haha). As most Italian cities (or maybe all I guess), there are also important churches in Pavia, which certainly include The Duomo or main church (The Cathedral). Duomo di Pavia was constructed in the 15th century and took 400 years to finish the complete facade until the 19th century. It has the third biggest Dome in Italy after the Church of St. Peter in Papal States (Vatican City) and The Florence Cathedral. 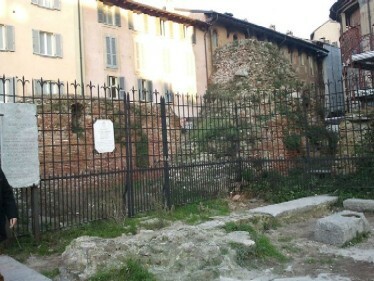 Outside the church, there are the remains of Civic Tower (Torre Civica) that had tragically fallen down in 1989. The tragedy had taken the lives of four people plus injured many others who unfortunately were there when it occured. Until now, the tower hasn’t been restored no matter 20 years ago in the end of 1994, it was proposed to be reconstructed. The tower was 78 metres high and it had the bells of the Cathedral on the top, which room was made in the 16th century. This tower was one of the ancient towers in Pavia, built in the 11th century. 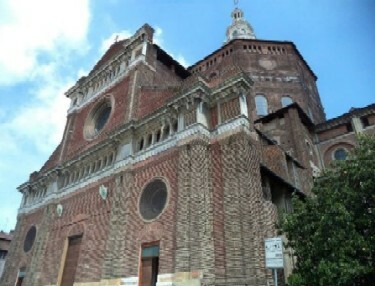 Other than the Cathedral of Pavia, the city also has an important church named San Michele Maggiore. It is considered to be one of the most stunning Lombard-Romanesque styles ever found. The dedication of this church is for St. Michael Archangel and after it was destroyed in the beginning of 11th century, the new construction was begun in the end of that same century. San Michele Maggiore is one of the significant medieval churches in Pavia and it had hosted big events such as Louis III’s Coronation in 900 or Frederick Barbarossa’s Coronation in the middle of 12th century. 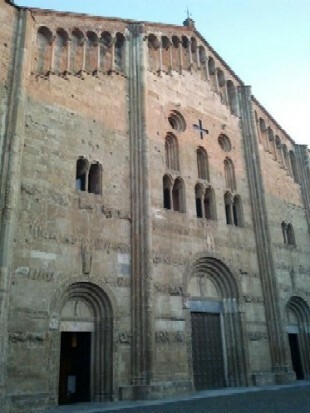 The church of San Michele Maggiore has the character of sandstone, which is also used in another important medieval church, St. Peter in Golden Sky or Basilica di San Pietro in Ciel d’oro. 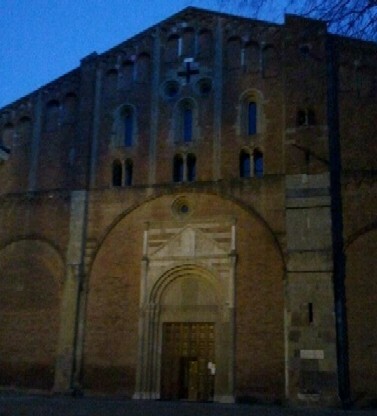 Similar to San Michele Maggiore, this is also an ancient church. It was constructed in the 6th century. It was mentioned that St Augustine, Boethius and the Lombard king Liutprand were buried here. 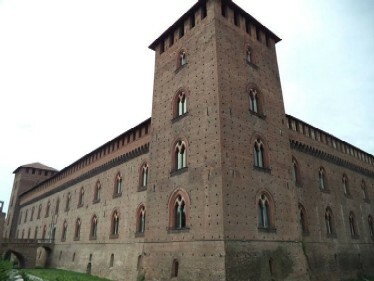 Pavia also has a big castle that used to be the private residence of Visconti Family. The castle was built in the 14th century by Galeazzo II Visconti. Certainly now it is no longer the residence of Visconti Family but it locates important museums of Pavia known as The Civic Museums of Pavia (Musei Civici di Pavia). These museums include Pinacoteca Malaspina, Archaeological Museum and Lombards Hall, Medieval Section and Renaissance Gallery of pictures from the 800s, Resurgence Museum, Robecchi Bricchetti Museum and The Crypt of St. Eusebius. Furthermore, Pavia also has one of the oldest universities in the world, The University of Pavia. It was founded in the 14th century and it’s one of the most ancient universities worldwide. Its earlier version as the higher institution of Pavia was even much earlier, in the beginning of 9th century. This means it is an example of the earliest proto-university in Europe. Università degli studi di Pavia (in Italian) has been one of the most well-known universities in Italy and Europe with students coming from not only Italy and Europe but also from other countries.